3mm To 13mm Outer Diameter. 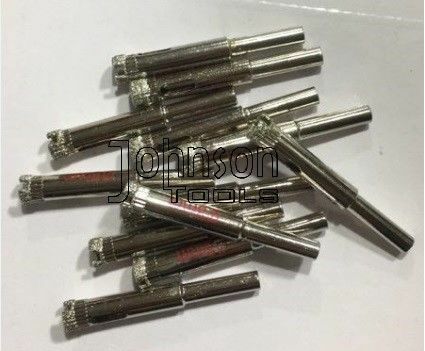 3-13mm Electroplated drill bits for glass drilling, fast drilling and no chipping. 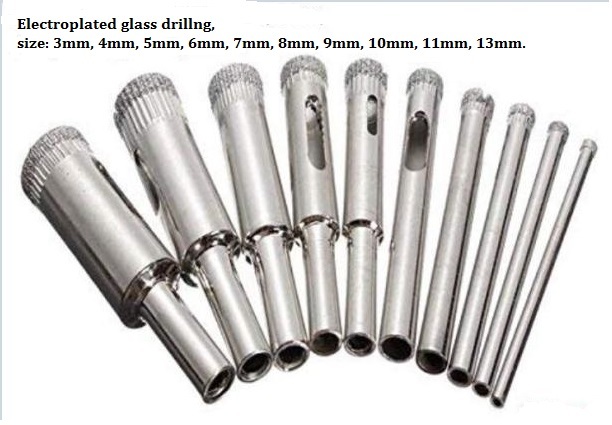 1) Glass Drill Bits are designed for professional contractors who demand the very fast drilling. 2) Dilling materials on glass materials. 3) Capable of drilling clean hole. 3mm, 4mm, 5mm, 6mm, 7mm, 8mm, 9mm, 10mm, 11mm, 13mm. Want to learn more about it, pls conact me today.